Nine Inch Nail’s newest release “Hesistation Marks” has proven to have taken the band’s sound in a different direction. What used to be recognized as a rock/alternative sound has now been turned into an ambient electronica album filled with programmed percussion as well as a lack of any certainty of traditional guitar and bass. But is this new direction a negative one? It seems some fans of the band are torn about the new sound, but others are supportive. Overall, this album is cohesive and immersible, but it may let down fans that were initially attracted to the band’s rock sound. This album starts off by diving right into the electronic sound with their opener. As the rest of the album proceeds the listener will find most of the songs continue on in this electronic style with a different type of vocal style throughout. The new vocals have been controversial between many of the fans but overall it seem to fit the songs. The lyrics of the album as well as the melodies wrap tightly around the atmosphere that this album brings to the listener. Once able to get past the new sound and vocal style, “Hesitation Marks” can be very relaxing and exciting. “Disappointed” and “Everything” are songs that can really wrap up this album in just a few minutes. These songs represent the new sound and vocals well while still differentiating themselves from the other songs on the album. 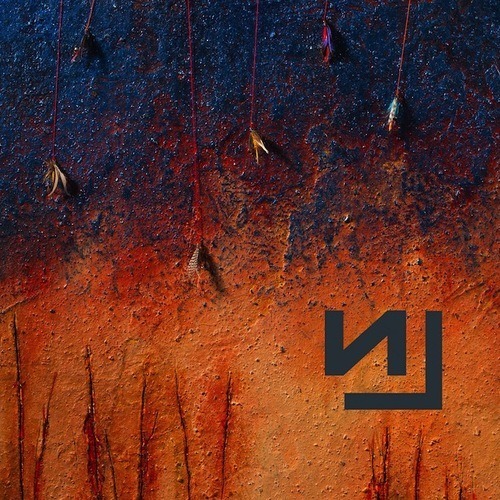 Although the new style is alarming at first, most listeners will find themselves surprisingly satisfied with the direction Nine Inch Nails is taking their sound. Even I can admit at first that the lack of a solid rock sound is disappointing at first, but once you get into the swing of things, this album can be quite enjoyable. That being said, there are some downsides to this new direction. The monotonous programmed drums can be very repetitive throughout most of the album. Although the electronica feel of the album is intentional, the lack of variation in the electronic percussion can be annoying. Also, this album having very little natural guitar and bass can also be somewhat of a letdown. Is this an album by Nine Inch Nails? Or just a feature of the vocalist? Sometimes it seems like every song is almost entirely reliant on the vocals. Despite these cons, “Hesitation Marks” is still definitely an album to expand your comfortable criteria of music. This album will open your mind to when a band changes their direction and will turn you on to the sounds of electronic ambiance. Even though this vocalist was originally known for hard vocals during their time as a rock band, this album shows a different side of the band as well as the vocals. This album is something to look into, and something to embrace. It takes a lot of courage for a band to take a new direction like this, so take a listen and enjoy the relaxing sounds of “Hesitation Marks”.